The capital of Ethiopia, Addis serves as the hub for Ethiopian Airlines, which is one of the largest and fastest growing airlines in Africa and which offers connecting service to more countries and airports within Africa than any other airline. Beyond having this bustling metropolis as its main destination, Ethiopian Airlines offers Americans another “best in travel”: for passengers traveling from Washington Dulles International Airport (IAD) to Addis Ababa (ADD) and beyond, the airline offers non-stop flights to Addis on the new Boeing 787 Dreamliner, the world’s most advanced commercial aircraft. “ EAL is proud to fly travelers to one of the world’s Top 10 Cities, and to do so on one of the world’s most state-of-the-art airplanes,” said Tewolde Gebremariam, Chief Executive Office of Ethiopian Airlines. “We wholeheartedly agree with Lonely Planet’s choice of Addis Ababa as one of the Best in Travel for 2013, and we look forward to welcoming travelers from all over the world to our thriving city.” For Lonely Planet’s complete list of Top 10 Cities, see www.lonelyplanet.com/themes/best-in-travel-2013/top-10-cities/. The crocodile ranch lies almost hidden and largely forgotten behind the airport in Ethiopia’s southern town of Arba Minch. The country’s first crocodile farm, it was built by an enterprising government official in the 1980s to generate foreign currency in one of Africa’s poorest countries, where people mainly live from subsistence farming. But the ranch has since fallen into disrepair, its decline a symbol of the challenges facing Ethiopia as it seeks to lure more tourists to its mountainous ranges and seemingly endless plains. At the end of a narrow path, the crocodiles laze in deep pools, their eyes glittering as they stare down nervous visitors. 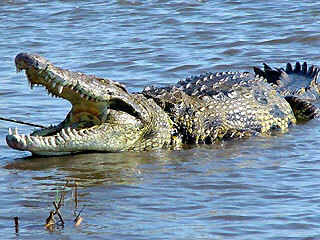 Separated according to age, the crocodiles feast on horse meat twice a week. Thousands of the reptiles are reared in these cement-floored pools, but the paths leading to the ranch’s star attraction are covered with weeds and hidden in the dense overgrowth. Metal fences meant to protect visitors from the crocodiles’ jaws are rusted and broken in places. “The place would have been a gold mine, if it had been privatised to a commercial-minded investor,” one visitor said. Ethiopia may struggle to reach its target of attracting one million tourists a year within the next decade. It’s not that the country — labelled the cradle of mankind after the discovery of ancient human remains — lacks attractions but its infrastructure is creaking, with poor roads and a lack of hotels. A 1998-2000 border war with Eritrea also hit tourist earnings. Nonetheless, the government aims to promote Ethiopia as one of the top 10 tourist destinations in Africa by 2016, hoping to reap $US650 million ($A873.50 million) a year in much-needed foreign receipts. Last year, the Horn of Africa country hosted around 227,000 tourists, earning $US156 million ($A210 million) in foreign exchange, compared with the $US134.5 million ($A181 million) earned from 184,000 visitors the previous year, according to ministry of tourism figures. Like many other potential money-spinners, the crocodile ranch is crying out for investment to improve facilities and boost earnings. Ethiopia boasts medieval cities, rich in ruined castles, palaces and churches. One of its holiest cities, Axum, offers teetering stelae, underground tombs and ancient inscriptions, while the 13th century rock-hewn churches of Lalibela feature carvings of saints and mystical symbols. The country has eight UNESCO World Heritage Sites. But most visitors would never come across the Arba Minch crocodile farm, which generated a paltry $US48,000 ($A64,503) from visitors in 2000 — far below its overhead expenses. Some 500km south of the capital Addis Ababa, Arba Minch is studded with glistening lakes formed from bubbling streams that flow through the tropical forests on nearby slopes. 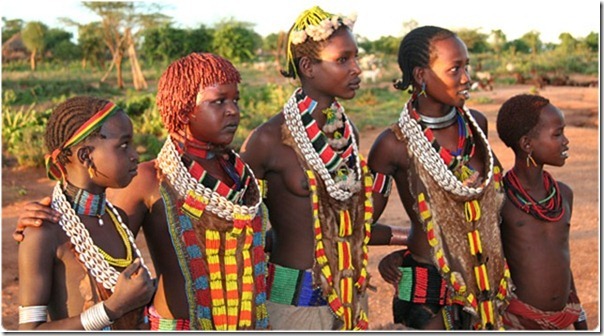 The lakes give the town its Amharic name which means “40 springs” in Ethiopia’s official language. Estifanos Endeshaw, one of the ranch’s guides, said some 5,000 crocodiles are fished out of Lakes Chamo and Abaya each year to be reared on the farm. Scouts from the ranch scour the lakes’ sandy beaches in search of the hidden nooks where the crocodiles lay their eggs. Three months after the eggs hatch, the baby crocs are transported back to the ranch where they spend the next year in a nursery pool. It takes up to 15 years for a crocodile to develop into a full-bodied reptile. Twice a week huge chunks of horse meat are thrown to the crocodiles. The horses are bought at a nearby market and kept on the ranch before being slaughtered and fed to the crocodiles. Some of the crocodiles are killed on the ranch, their skins destined to be used to make expensive shoes, handbags and belts, mainly for export. “The crocodiles being reared in the ranch are mostly for tourist attraction, although those which are old enough are shot for their skins,” Estifanos said. You are currently browsing the TOURIST LIFE TRAVEL & TOUR blog archives for October, 2012.